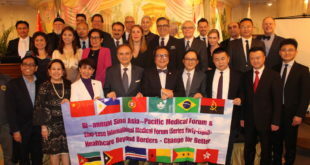 The 2nd Sino Asia-Pacific Medical Forum held in Manila and Macau in recent days witnessed strong synergy and forward-looking steps. 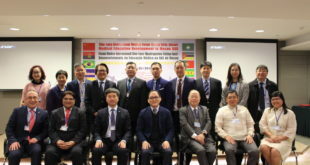 At its opening symposium in Manila, scientists and policymakers from dozens of countries discussed matters ranging from trauma training in China to climate change and public health in Australia, to obesity in women’s health in South Asia, to endocrine endeavors in the Philippines. 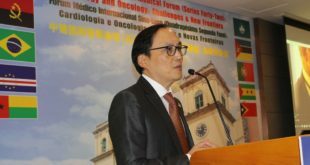 The forum may also expand globally in reach because of these meetings—stretching from Macau to Manila to Cambodia to the Mediterranean. And even the Caribbean. 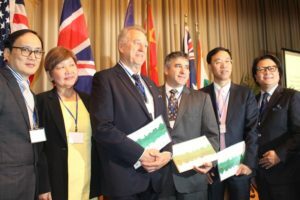 Perth, Australia resident Dr. Kingsley Faulkner, former president of the Royal Australasian College of Surgeons said, “It’s vastly important that Australia is part of this region. 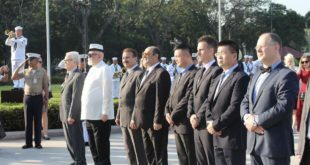 We must be engaged with Southeast Asia and with the whole Pacific. It is in our interest. It is in the region’s interest. 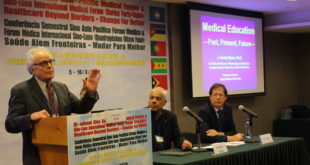 Medicine is a marvelous conduit for an exchange of ideas between people, breaking down barriers and building bridges.